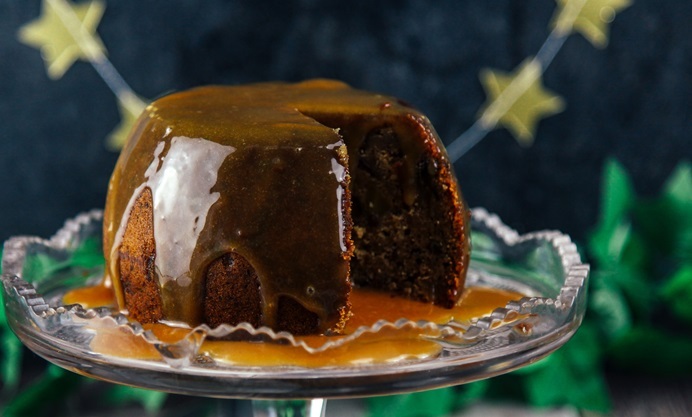 This vegan sticky toffee pudding recipe is packed with ginger, and served with lashing of toffee sauce for extra indulgence. The perfect Christmas dessert. 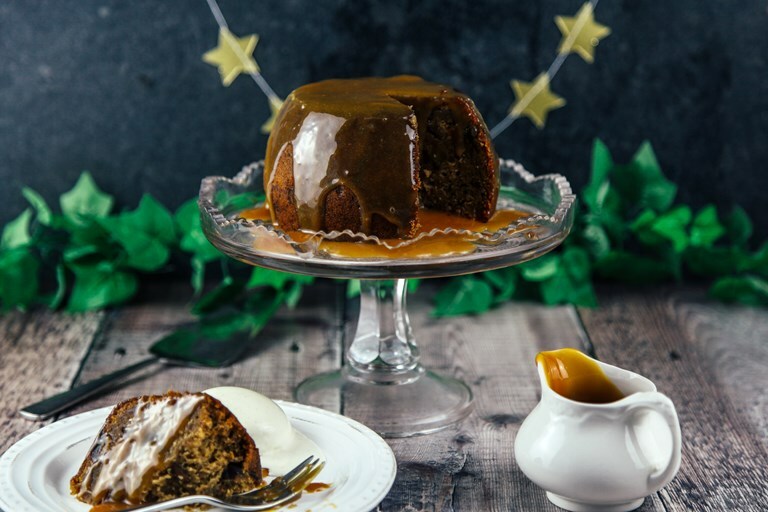 Combining two Christmas favourites, gingerbread and sticky toffee pudding, for the ultimate festive dessert! Delicious served warm with a scoop of dairy-free ice cream. Lastly, stir in the date mixture (including the liquid) and apple cider vinegar. This will react with the rising agents and help make the pudding extra spongey! Aimee is a Brighton-based food blogger who loves making (and eating) delicious vegan food which she shares on her blog WallflowerKitchen.com.